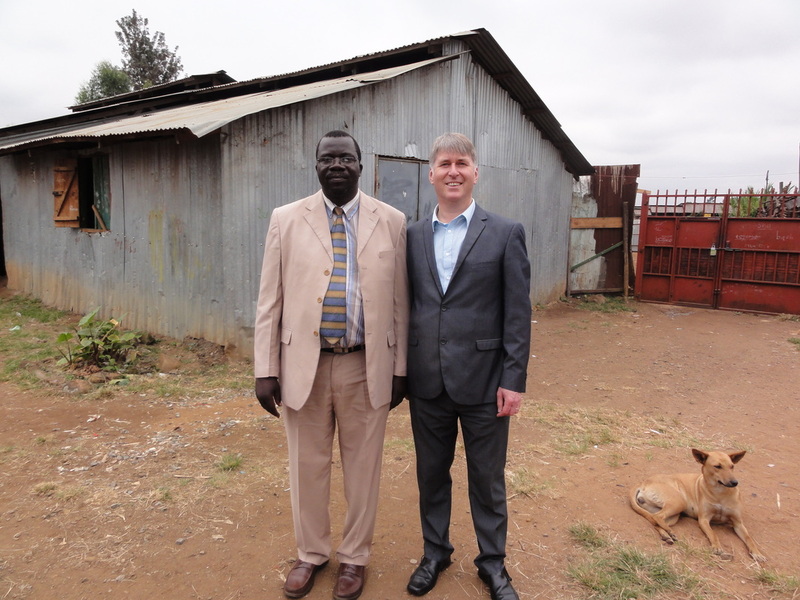 Outside the entrance to the MMC church in Kibera slum. 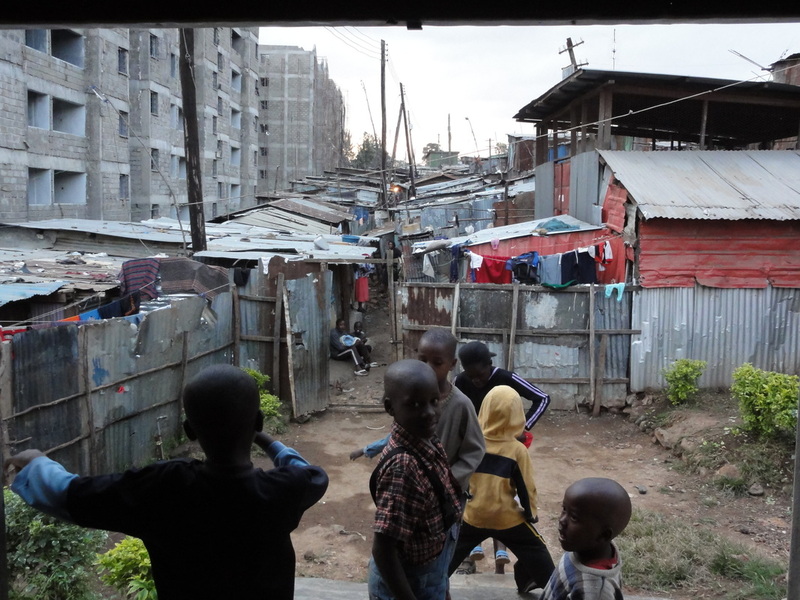 On the left are the unfinished flats being built as part of the redevelopment of Kibera. 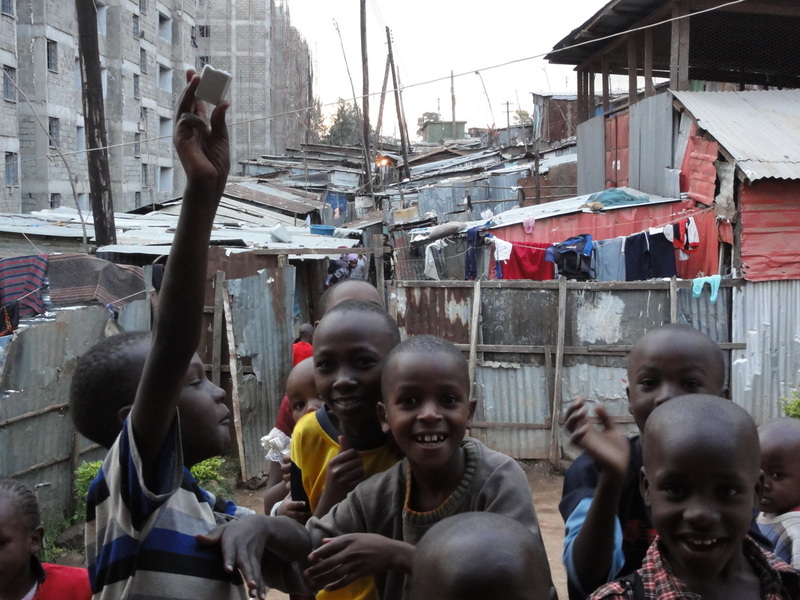 Former slum dwellings were demolished to make way for them. 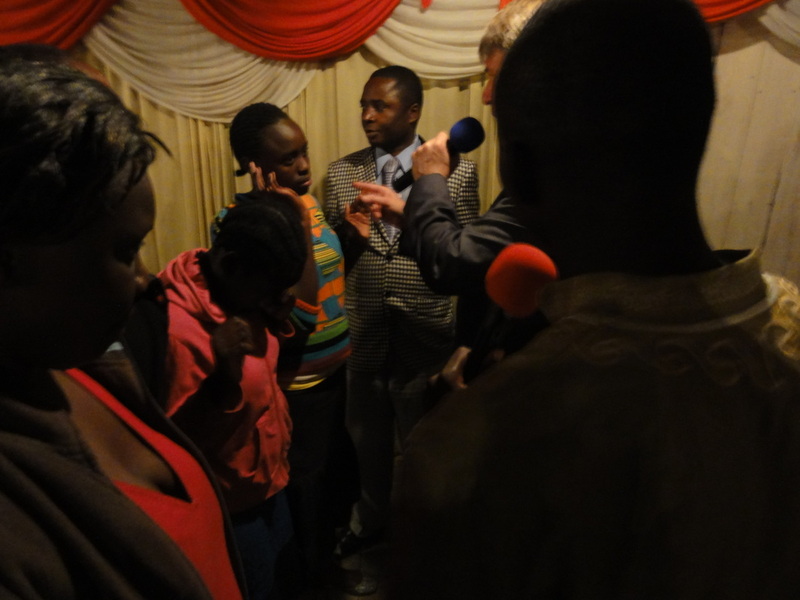 The residents have had their photos taken and have been given identity cards and temporary housing while the flats are being built. 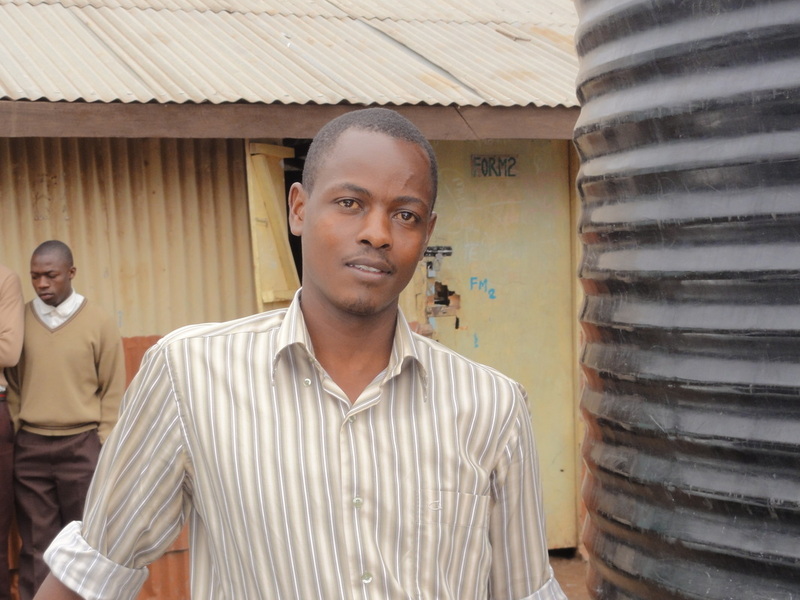 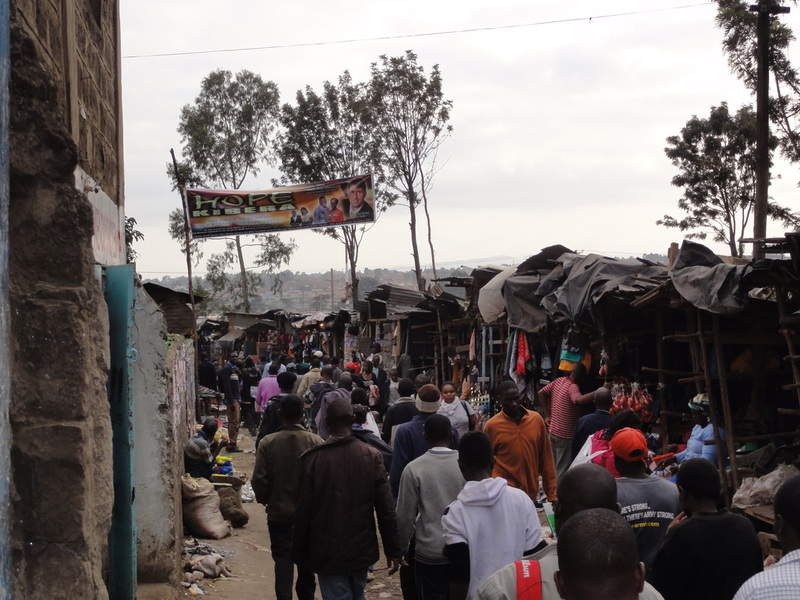 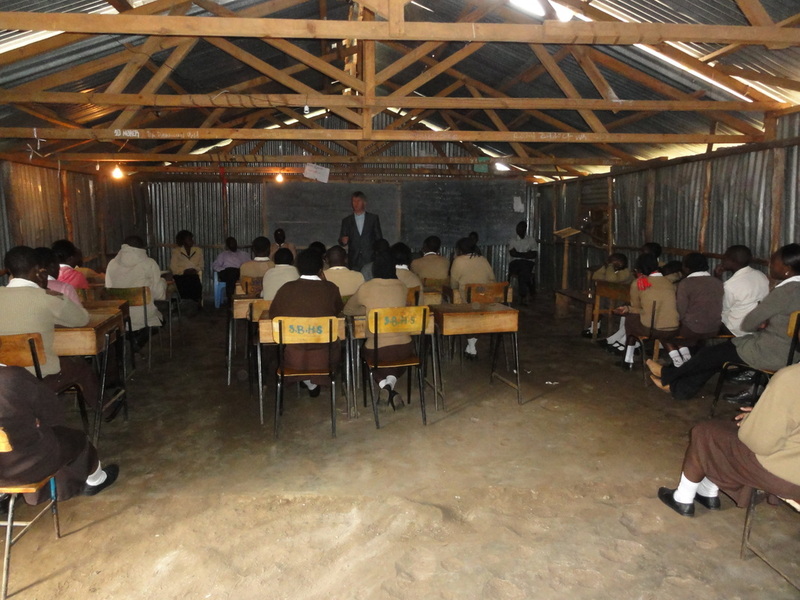 It is the beginning of change in Kibera but there is a long way to go! 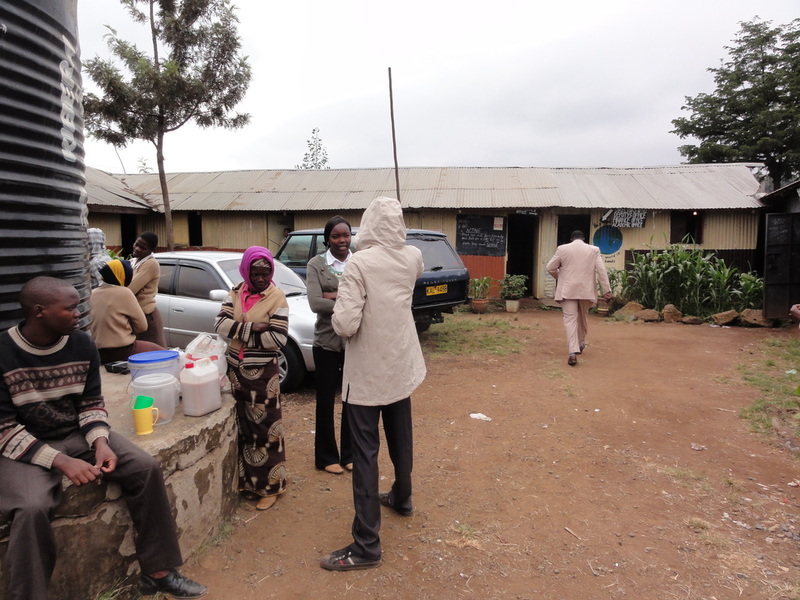 Local kids outside the church. 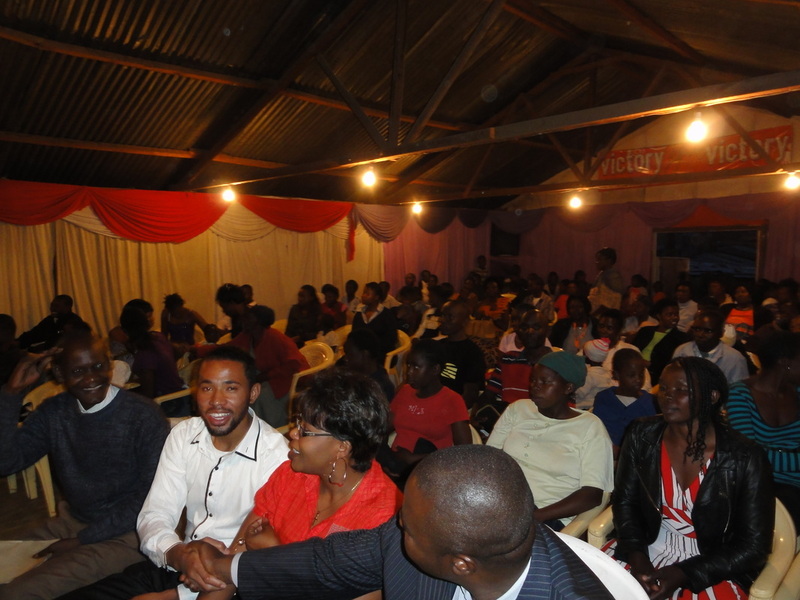 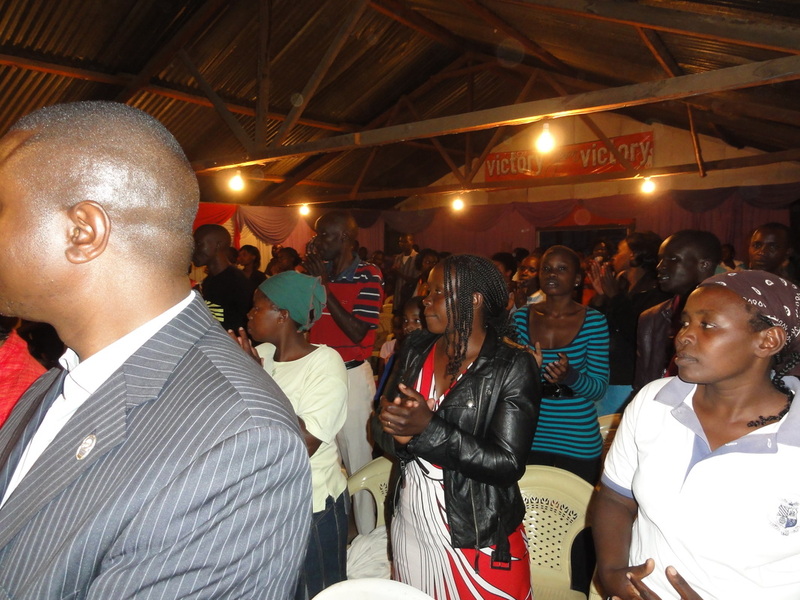 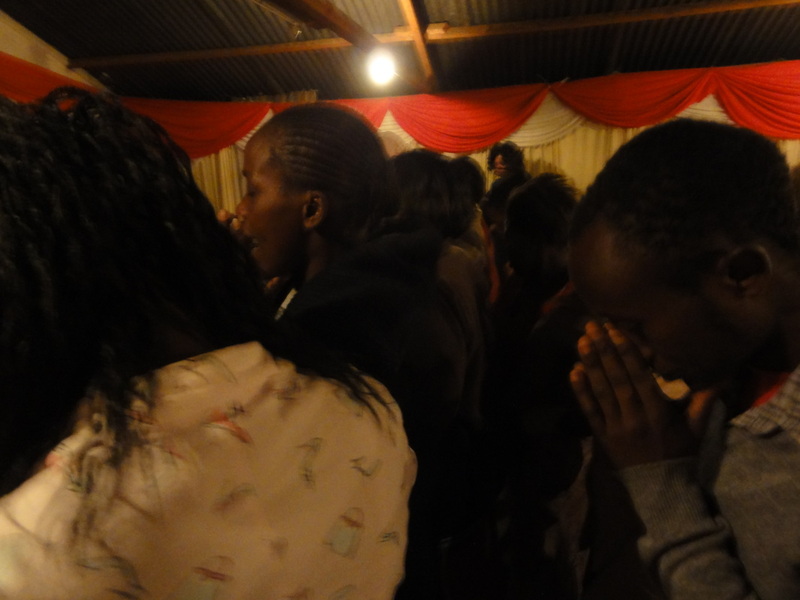 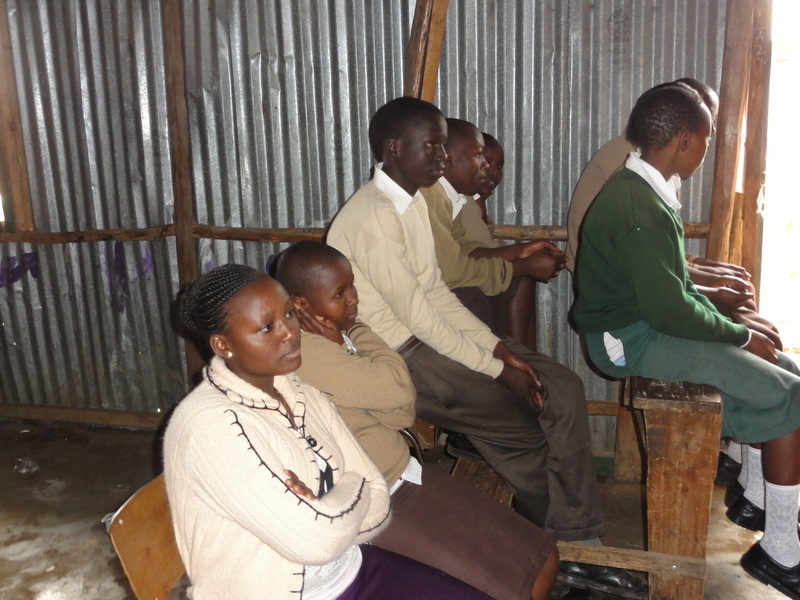 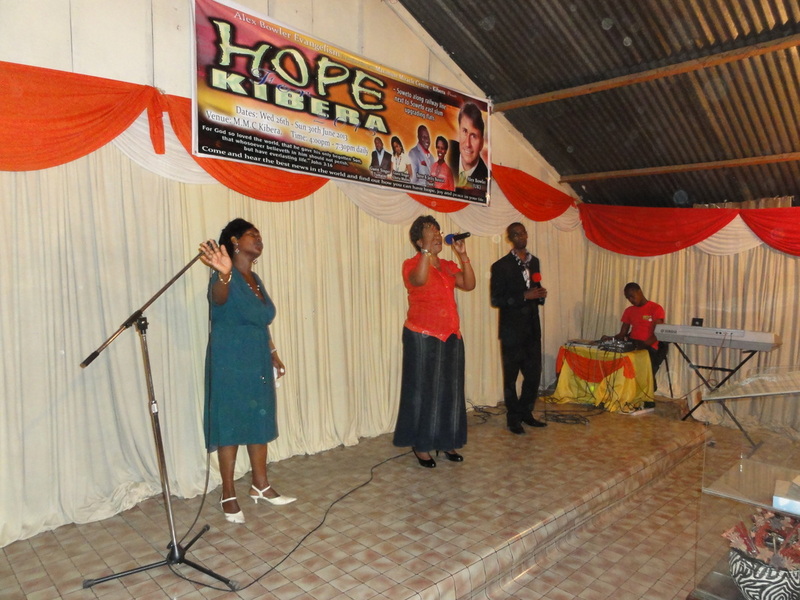 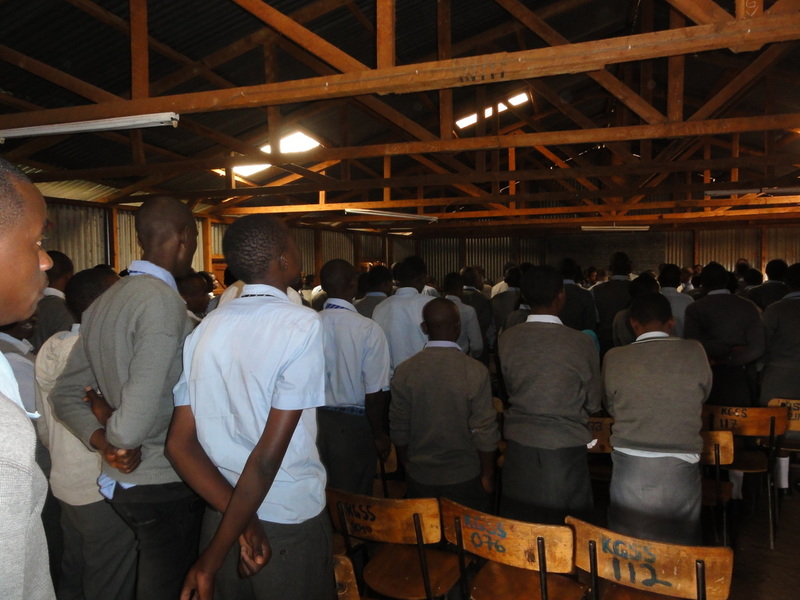 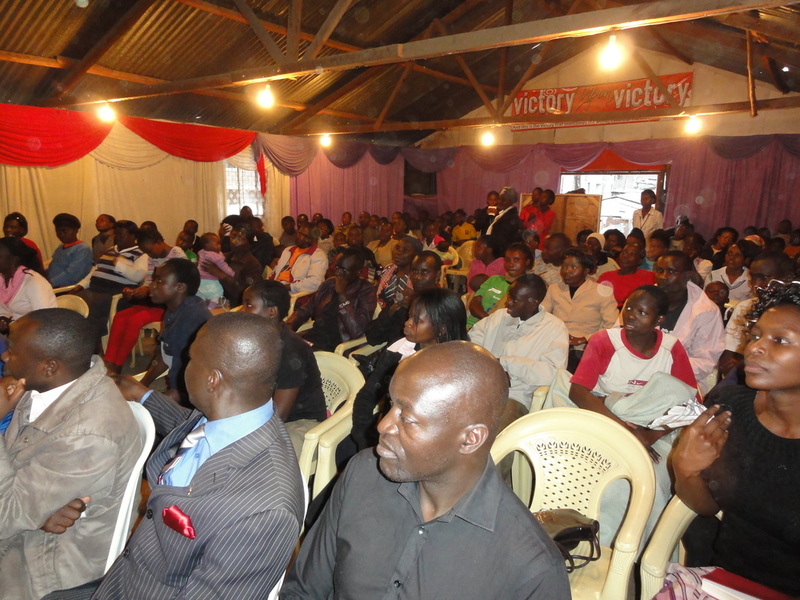 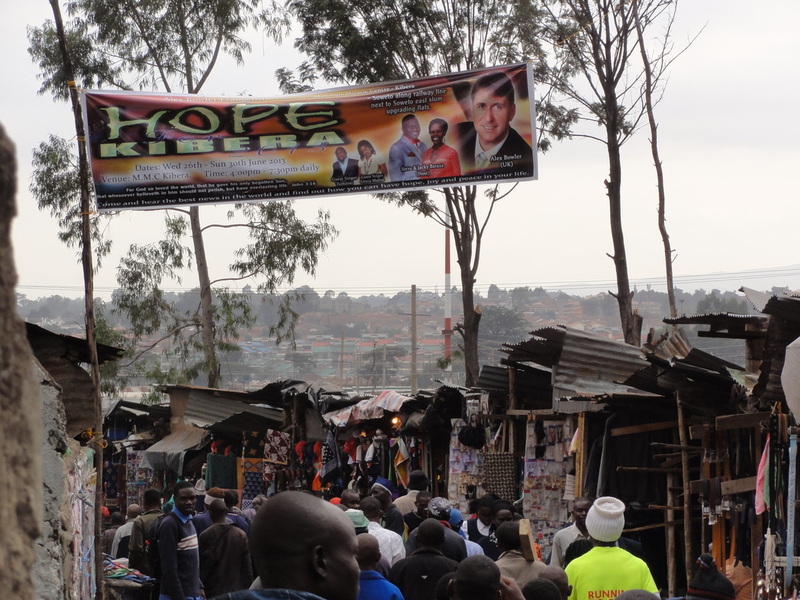 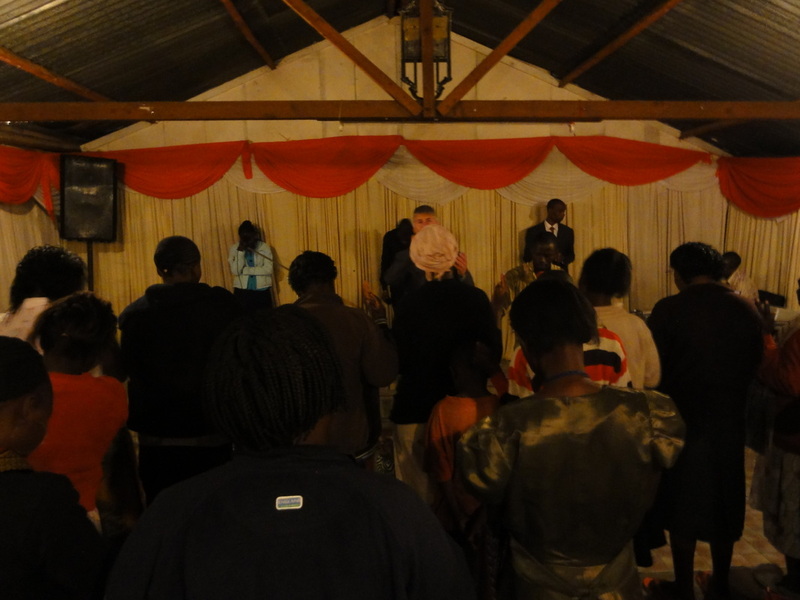 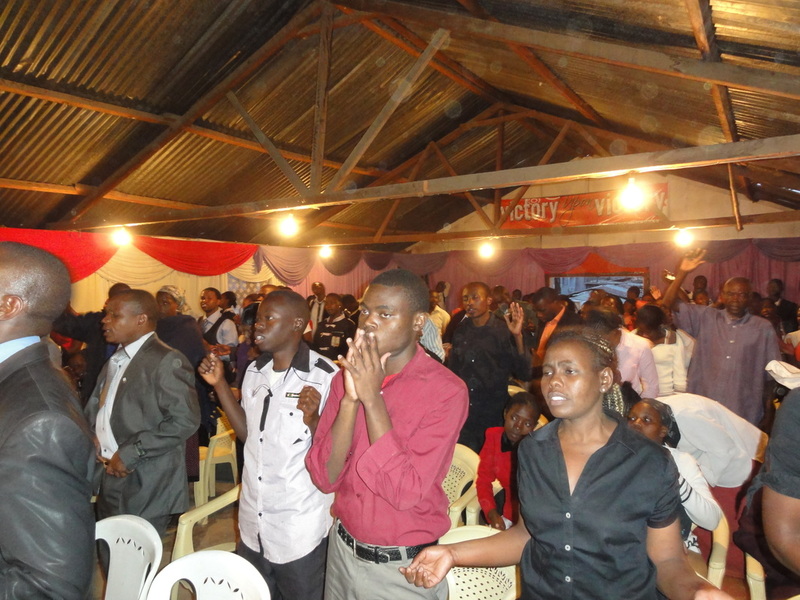 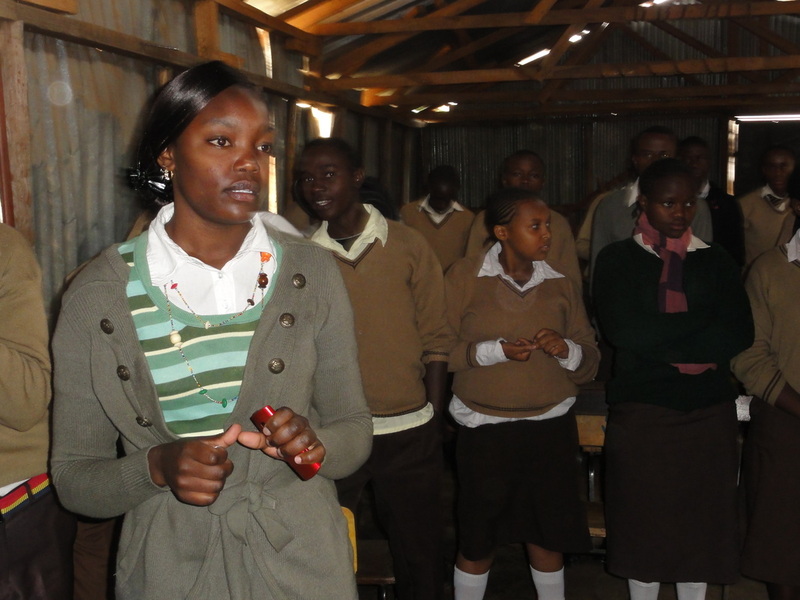 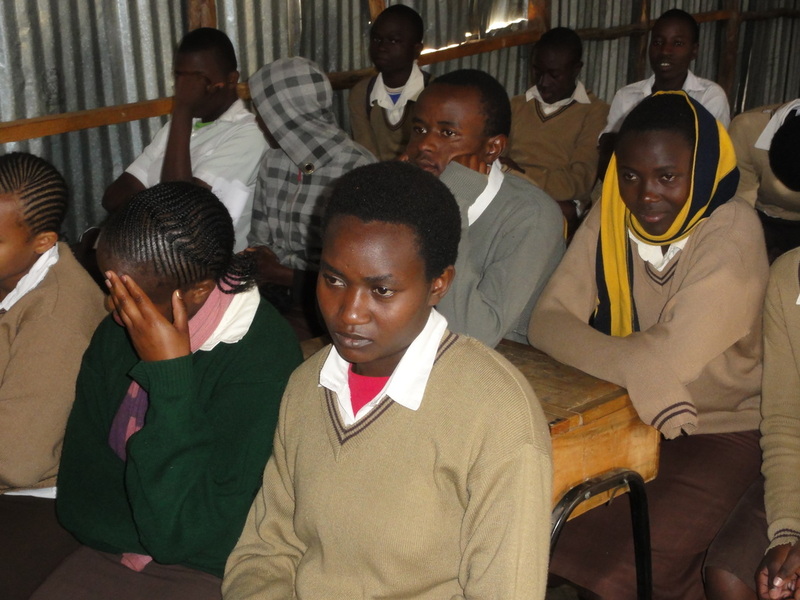 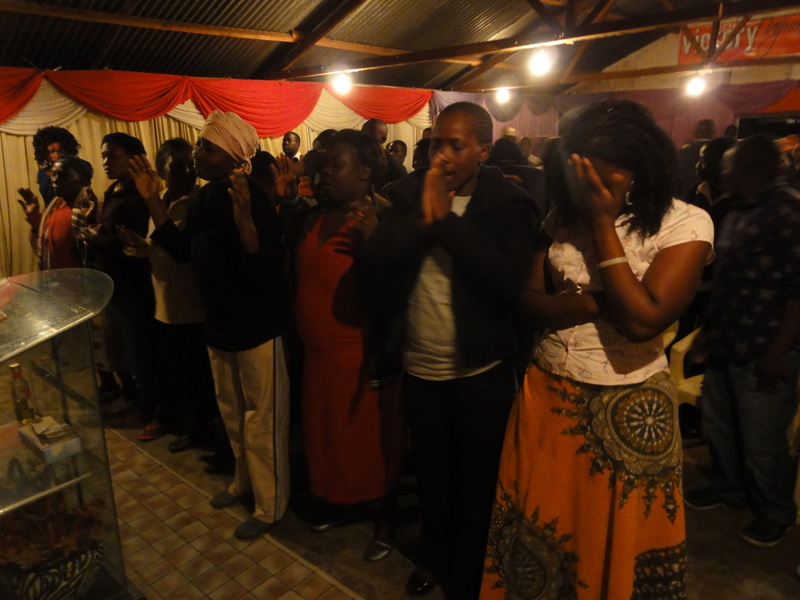 During the Hope For Kibera 2013 meetings at the MMC church in the heart of the slum many young people came forward to commit their lives to Christ! 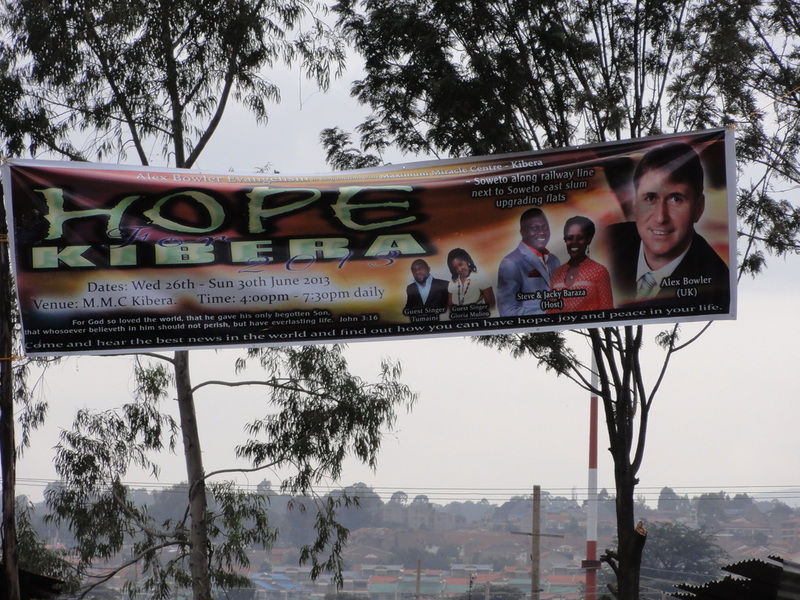 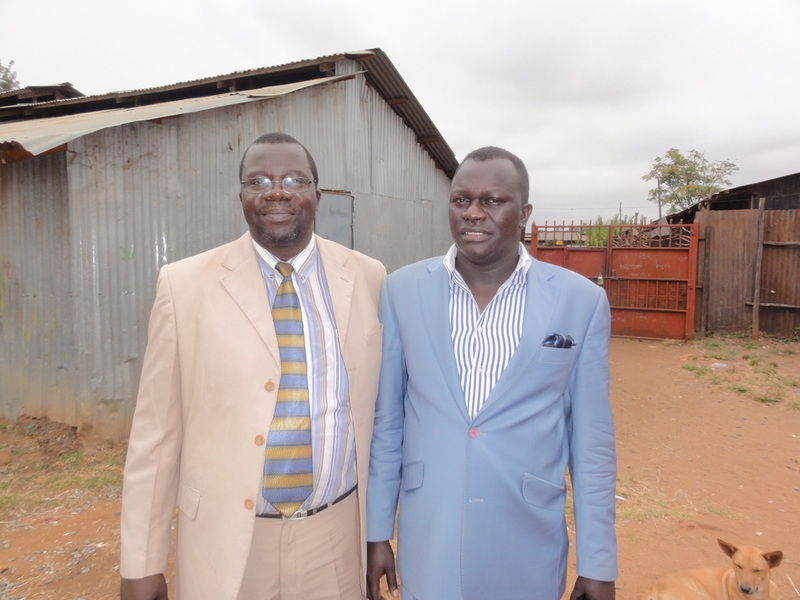 The Laini-Saba Grounds, where we held our Hope For Kibera 2011 crusade, next to one of the secondary schools we visited. 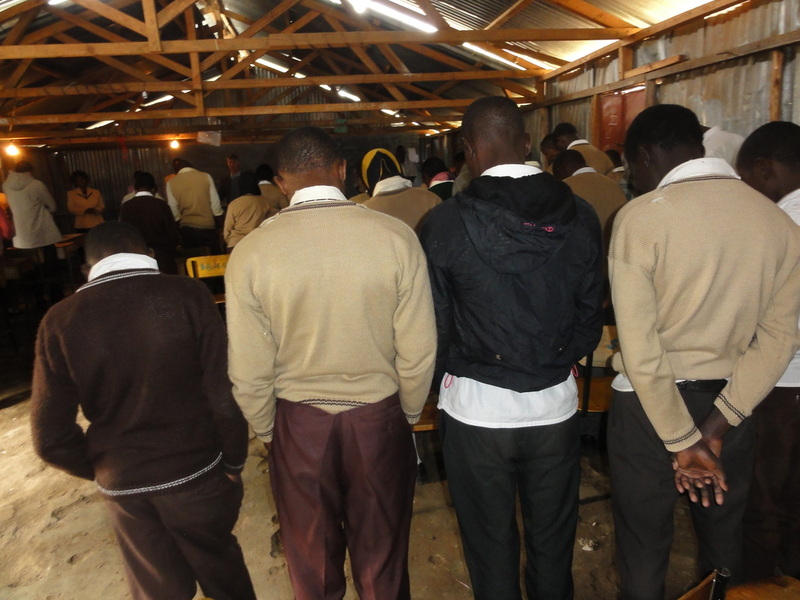 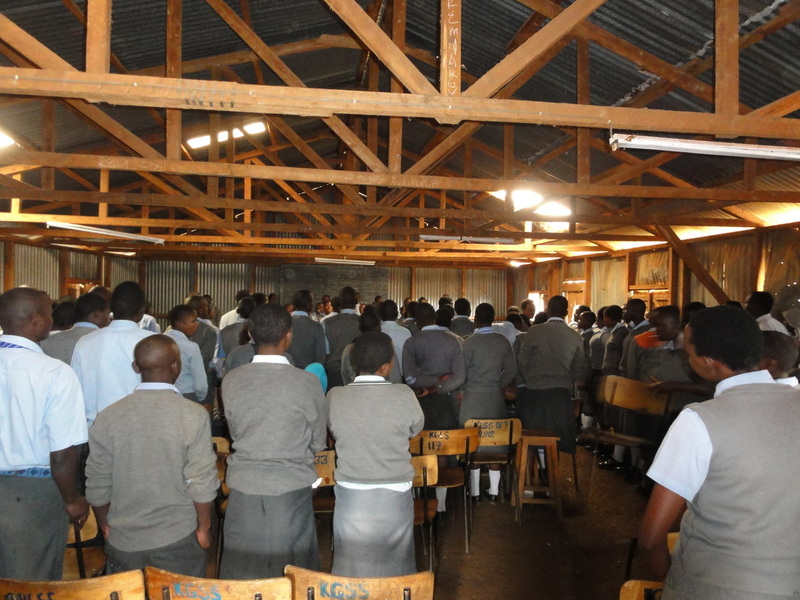 Primary school - Kibera - pupils raising their hands to signify that they had just prayed and asked Jesus to be their Saviour! 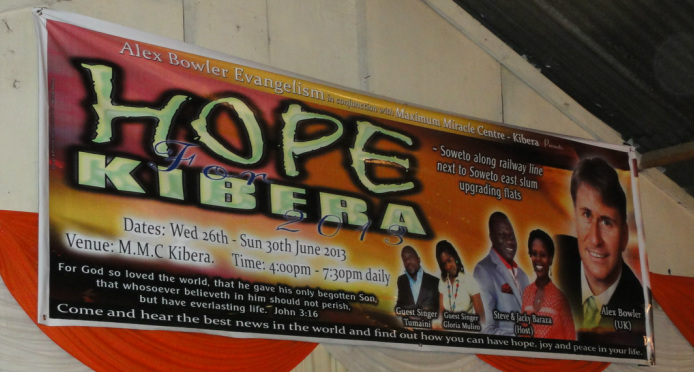 The Kiki Weavers - Kibera. 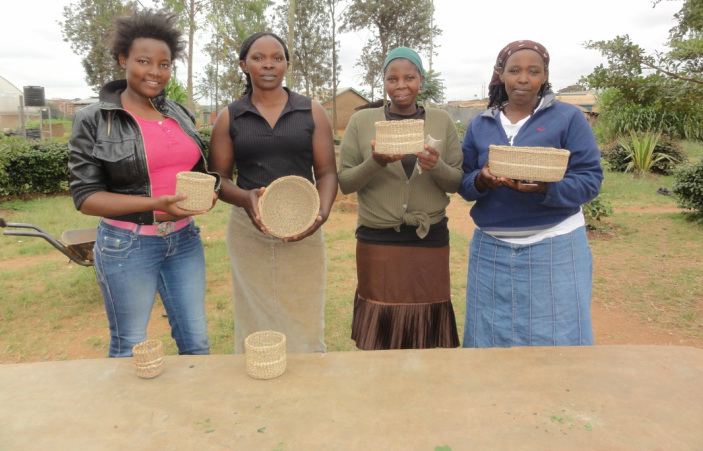 Click on the photo to find out about their work. 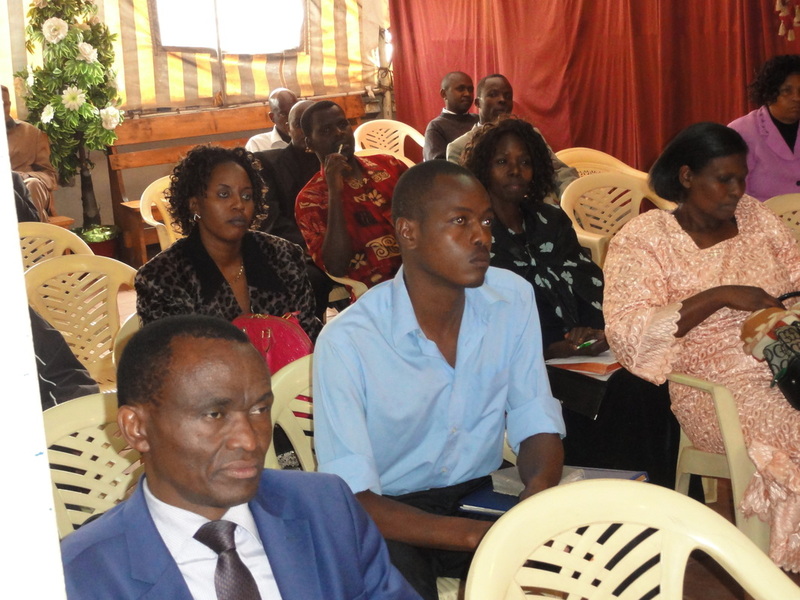 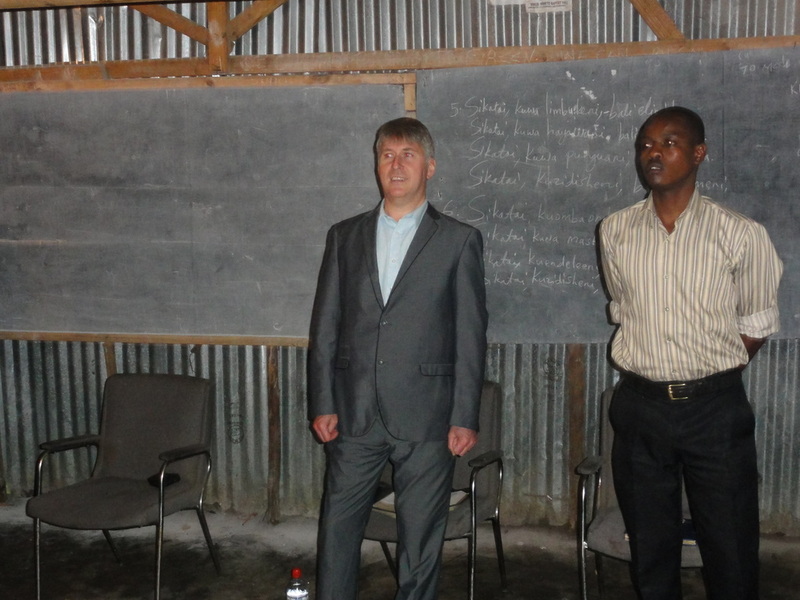 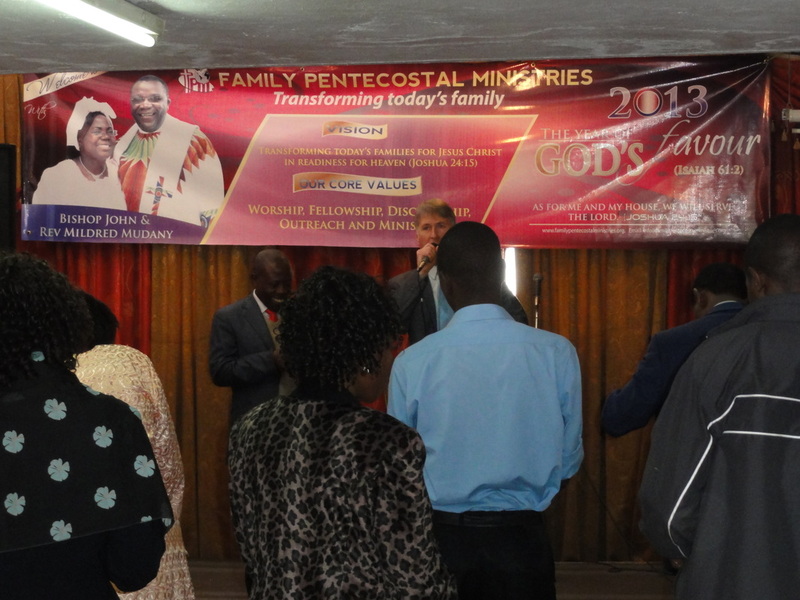 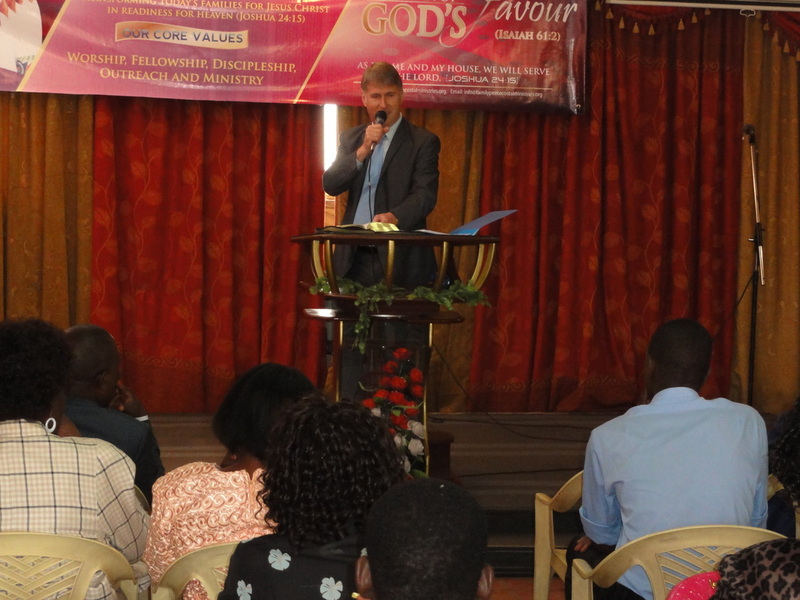 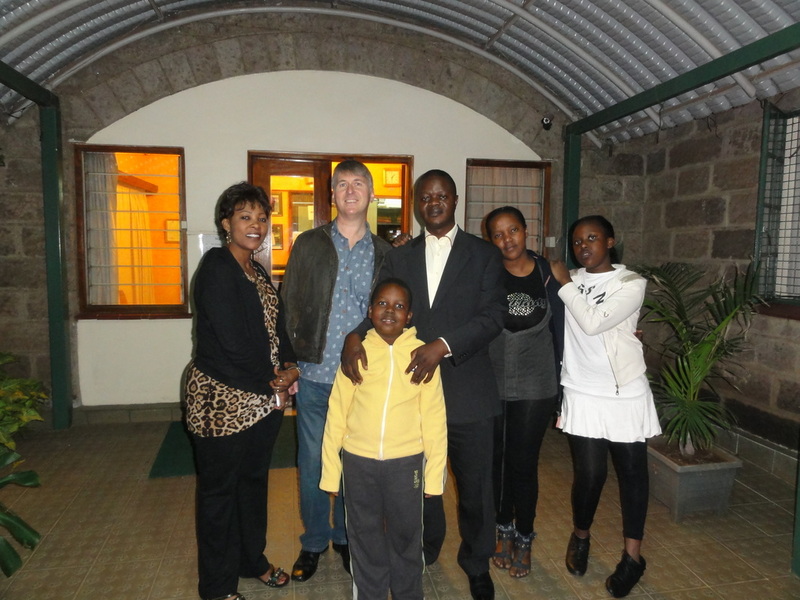 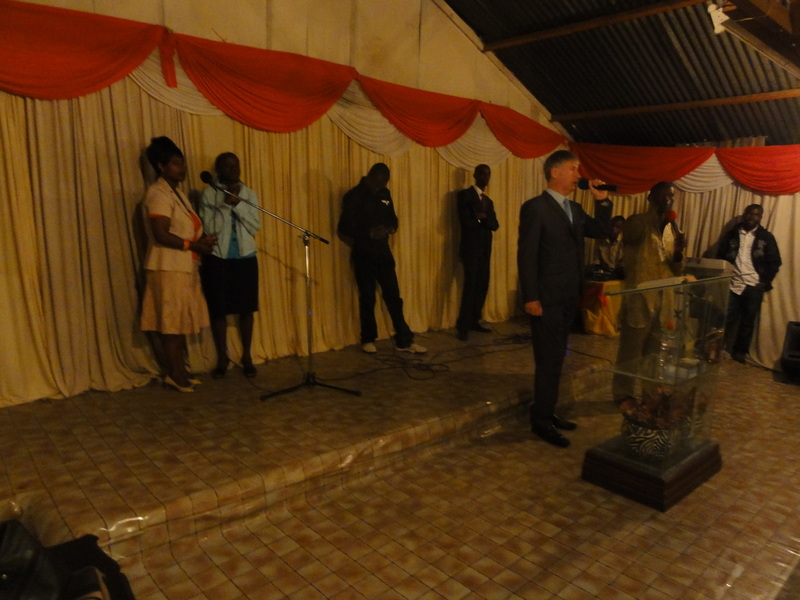 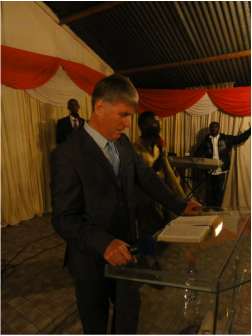 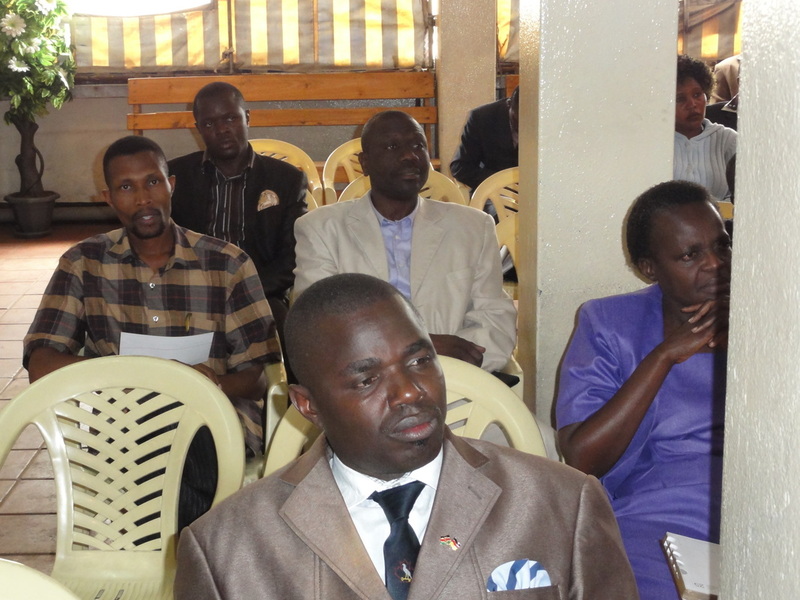 Alex addressing church leaders in Nairobi on the subject: 'Why I Use The King James Bible.' 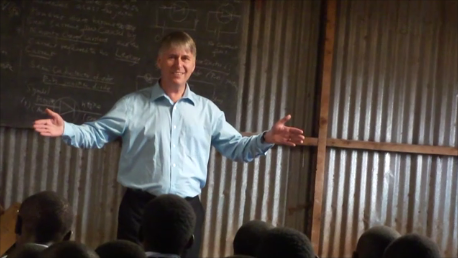 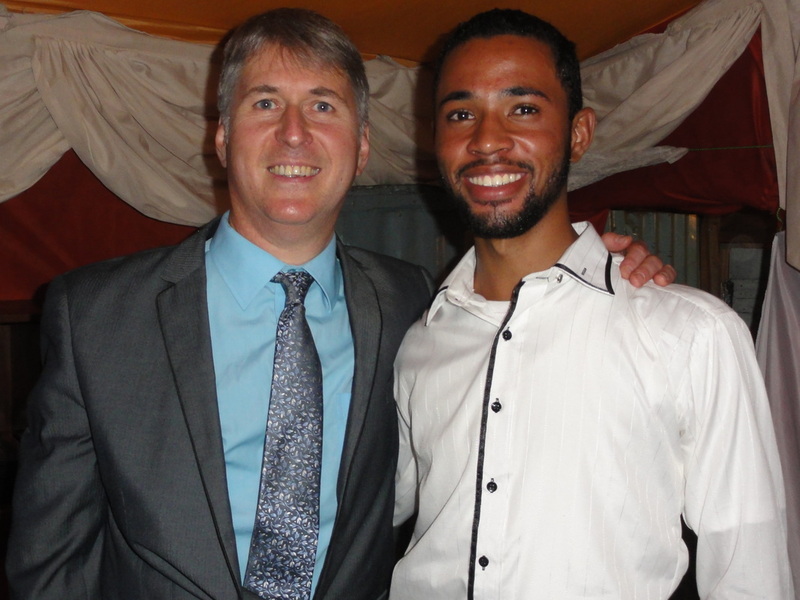 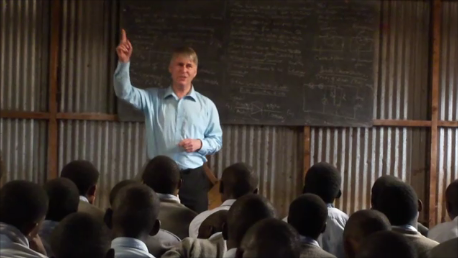 The teaching was so well received that Alex has been invited to return to Nairobi to hold seminars for church leaders in the future.